Search Engine Optimization is a new field that has grown rapidly in recent times. Studies show that Google receives 79% of all the search traffic, and also receives 63,000 searches per second on a daily basis. With more and more traffic coming onto the internet for a variety of needs, SEO is the need of the hour for businesses to survive in the modern market. 82% of marketers see SEO as an effective marketing tool. SEO refers to increasing the traffic, both quantitatively and qualitatively, to the website of your law firm through organic search engine results. It affects the visibility of the business without having to pay for advertisement. The more visible the website is, the more visitors it will have who can then be converted into clients or customers. Thus SEO has a direct bearing on the marketing line of an organization and must be given its due attention. New surveys have shown that at least one-third of clients are now looking for legal guidance or help through searching for firms and attorneys online. 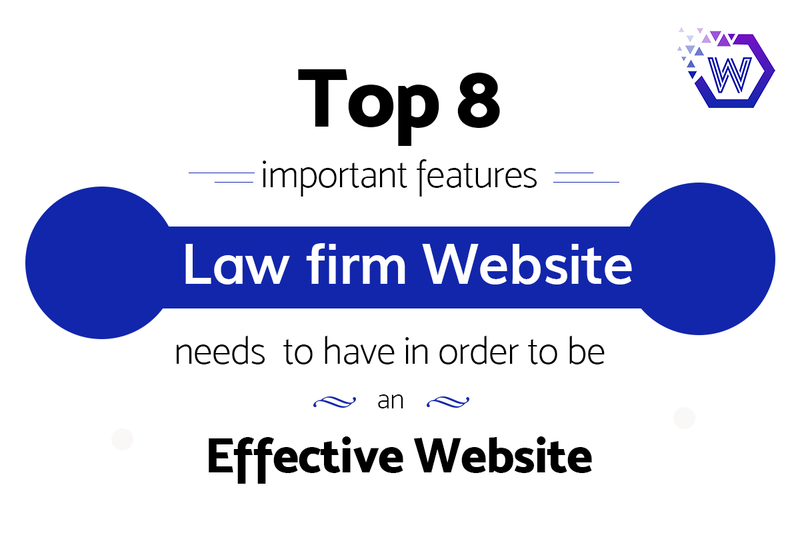 It is therefore even more crucial for a law firm, in particular, to utilize the power of the internet and gain traffic to its website. Studies also show that 96% of all legal advice given, takes place online, where clients find suitable law firms through search engines. Therefore, appropriate use of SEO for law firms is a must to succeed in the online market today. What are the objectives for Law firm SEO? A few concrete goals should be laid down before venturing into SEO marketing in order to gain fruitful results. A law firm must have the intention of having its search results at the top of the page once the keywords are entered. Most customers do not venture beyond the first two or three pages on search engine sites like Google, so the marketing should be done suitably to appear at the top, so that prospective customers can see the law firm and what it offers for themselves. The SEO, therefore, should be appropriate to the law firm, so that the website is visible only at the most relevant times to get the largest number of clients. A long-term plan must also be prepared for a lawyer’s SEO Company. 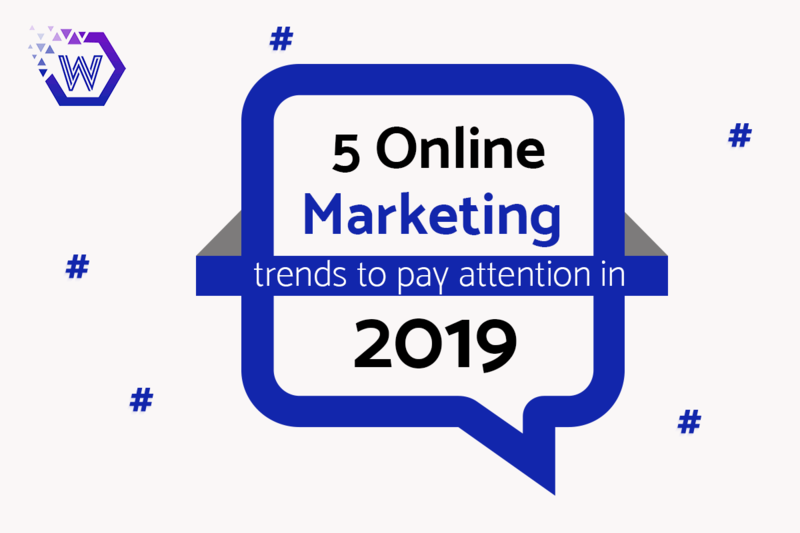 As time goes by, a website can gain greater visibility and by following the trends in the keywords, a steady position can be maintained for the best results. Correct branding and online presence is also an added advantage that adds to good SEO marketing. If your law firm is checking all the right things on the marketing checklist, SEO gains a boost and more leads can be generated through the traffic. Law firm SEO can also help you manage leads in a better way. Researching keywords used for your specific type of business, result-driven performance can help gain the desired clients who are genuinely looking for the services you offer. This helps save time and effort in sorting through those clients who are really desirous of your law firm’s services and those who are not. To turn the law firm into a viable brand, a few key concepts must be clear. A lawyer’s SEO company must adopt strategies and methods to attract the most number of clients from the first page of the results itself. 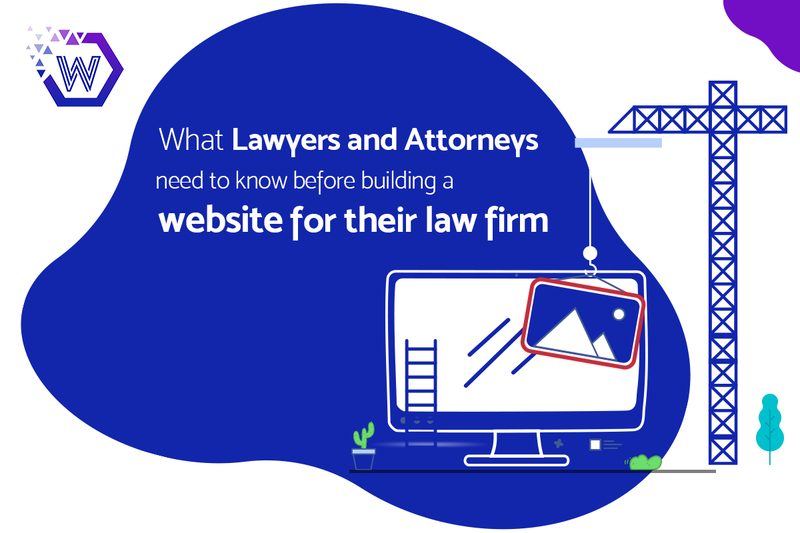 It is better to begin first from the law firm’s website itself by adopting a strategy for your business, markets, a record of the traffic, etc. for the best marketing. 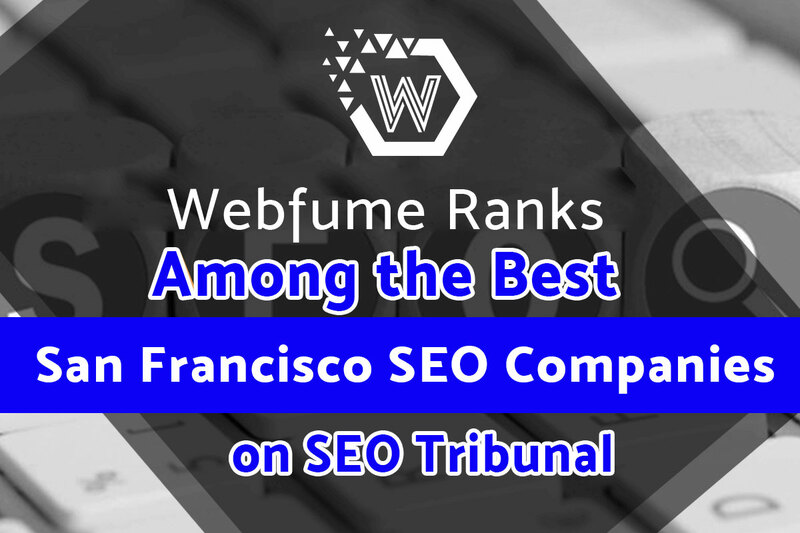 Thus, the goals of the law firm, the competition it has, the strategies planned, optimization of the website and search results, and a tracking of the incoming traffic and conversion into clients are all intrinsic in SEO for law firms. SEO for law firms is usually concerned with what are the search results when people in your locality search for legal advice, or for law firms. It is related to what the marketing field must be involved in to ensure your law firm comes up on the first page of the search results and is also one of the top ranking results. The online footprint of the law firm must be analyzed, concrete actions such as a keyword strategy and linking must be taken to increase the visibility of the law firm, and this visibility should be maintained over a long period so that visitors to your website can be converted into leads. These are the main areas of SEO marketing that a law firm must be regularly involved in. What are the components of SEO Marketing? The header, URL images, title, and content must be coordinated well so that the algorithms used by Google or other search engines can identify your website as a credible and useful one to users. Based on the attributions of your website, a search engine can place your website and make it visible in the most relevant areas. Within your website, the interface should be user-friendly and easy to navigate. The first impression given through your website must be trustworthy and competent to ensure a positive impression on visitors and encourage them to refer to your website as a reference and reach out as a client as well. SEO marketing has a direct connection with the number of clicks and amount of time a user spends on the web page. While your SEO strategies may be precise, the quantity and quality of content cannot be neglected. Relevant information that is living up to the current trends in society is always beneficial and attracts new visitors regularly. Content should not only be relevant but should also contain the keywords that are important for your website to grow to ensure you are converting potential clients. Search engines study the website at a quick pace by moving from one page to another. This is done through good navigability and linking. Ensuring your links are present on other websites also ensures the search engine to land directly on your website, and Search engine Optimization increases your chance of being a top result on the search results page. Thus linking internally and externally, within your website and across different websites are equally important and are a key focus of SEO marketing. Andrey Lipattsev, a senior member of Google also states that link building and high-quality content are the ways Google ranks websites in search results. What are the best methods for search engine growth? SEO is complex and competitive, which may discourage some businesses from venturing into it. However, it must be clear that SEO is no longer a luxury but a much-required necessity for a business, especially a law firm to grow. Read on to know more about the best methods for search engine growth. A common error in keyword strategy is to focus on general, non-specific keywords that do not really transfer into leads. High volume keywords do not have buying intent. Larger and more known firms or publications will instead gain the traffic, rather than your law firm. A difference should also be made in knowing who is approaching as a customer and who is approaching as a fellow marketer for the best SEO. Thus, instead of general keywords, long-tail keywords are best suited for appropriate marketing. These keywords can generate data about the user or can even show buying intent. The intent of the user is more important than the quantity received from a keyword. It is also seen that most keywords are often 4 words or longer which ensure long-tail keywords are more effective. Keywords for a specific service: Keywords that are well defined for a service and type of user ensures your visibility is relevant. Keywords used in comparison with competitors: These keywords compare 2 competitors like your firm as against the competitors. The form of this keyword will be “(your firm) vs. (competitor firm)”, or the services each one provides. 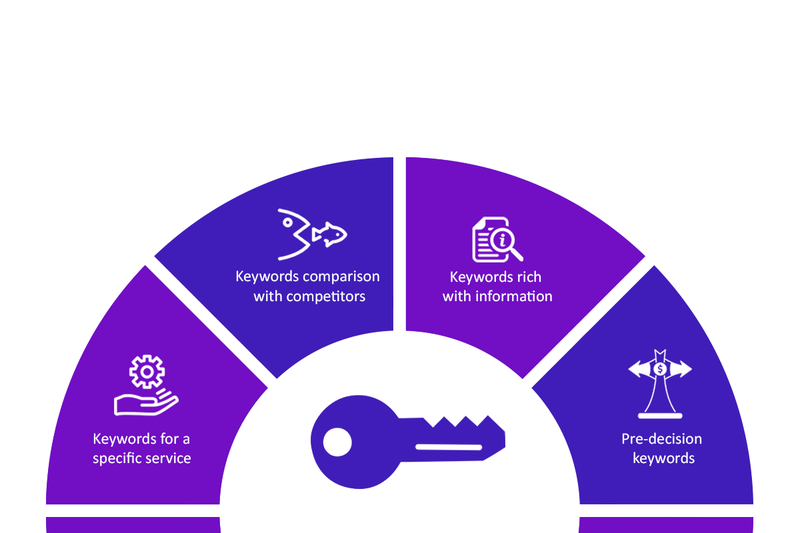 Keywords rich with information: These are long-tail keywords, and are based on the information of the customer. These are highly specific in terms of the service they desire and the purpose they want it for. 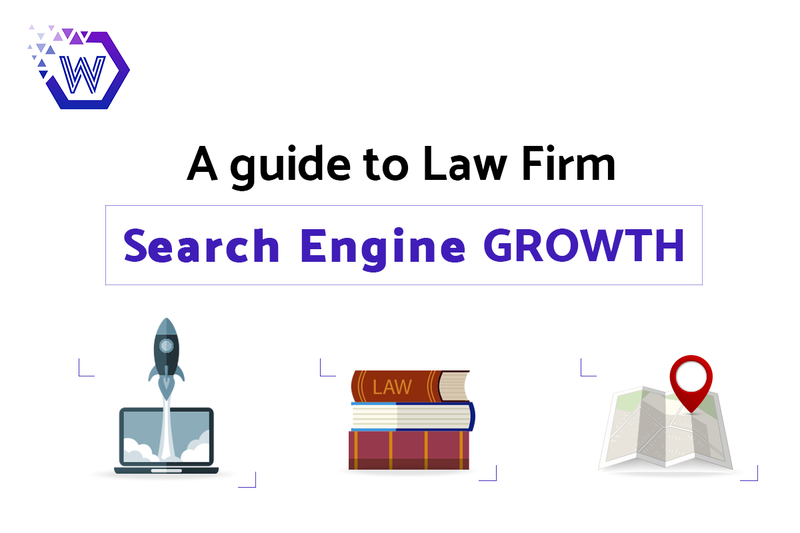 For instance, “how to increase online presence for a law firm” is specific, but tailoring keywords for the same can ensure you are at the top of the search engine results. Pre-decision keywords: These are quick keywords that a customer may have in mind, and is looking for prompt answers. It shows a ready intent to buy and is the keyword that can lead to the most number of leads. For instance, “legal advice in California cost” is very particular and shows the buying intent. Narrowing keywords from general to specific can help you stay relevant. 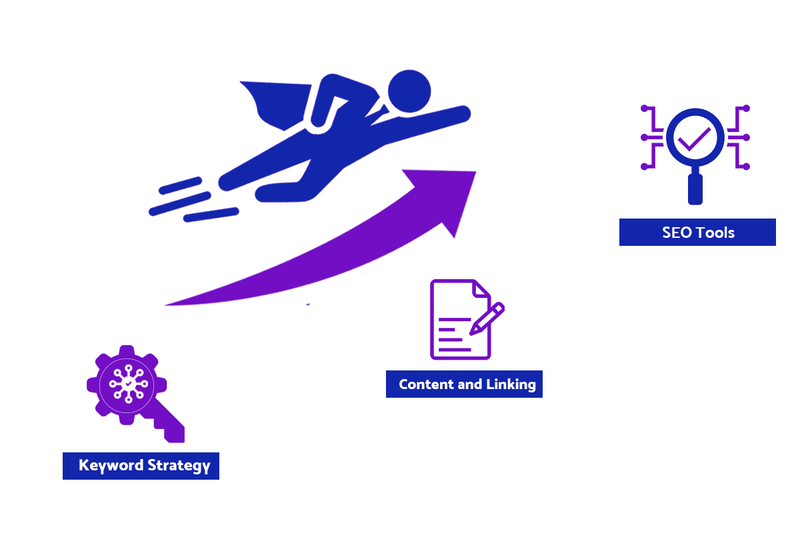 For instance, instead of using “content marketing” as a keyword, adopting “content marketing for law firms” as a keyword strategy can automatically ensure you are at the top of the page and have fewer competitors. 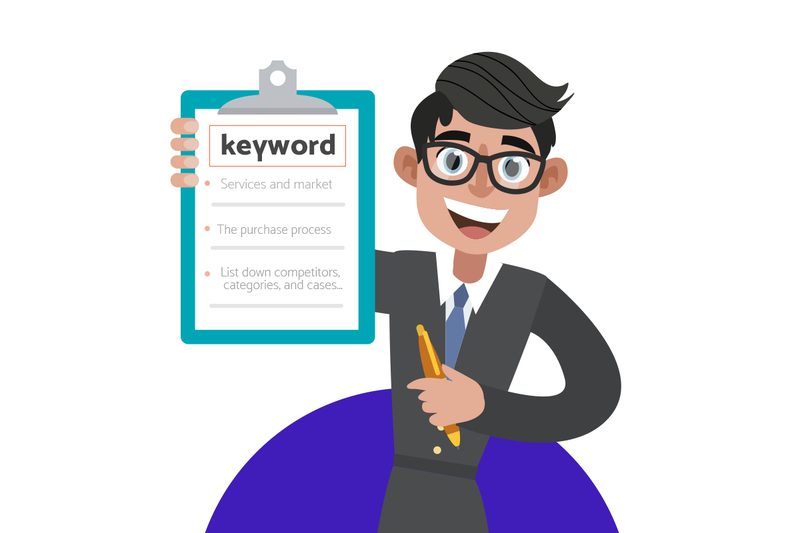 Once the basics of keyword strategy for a lawyer’s SEO Company are known, the following steps can be implemented for creating the most appropriate keyword list. All the services offered by your law firm must be listed down, and a second list of the potential markets must also be prepared. A keyword list must now be prepared by combining the two list and pairing the services offered with the target market. For instance, “legal advice for startups” can be a combination of the service and the target audience. 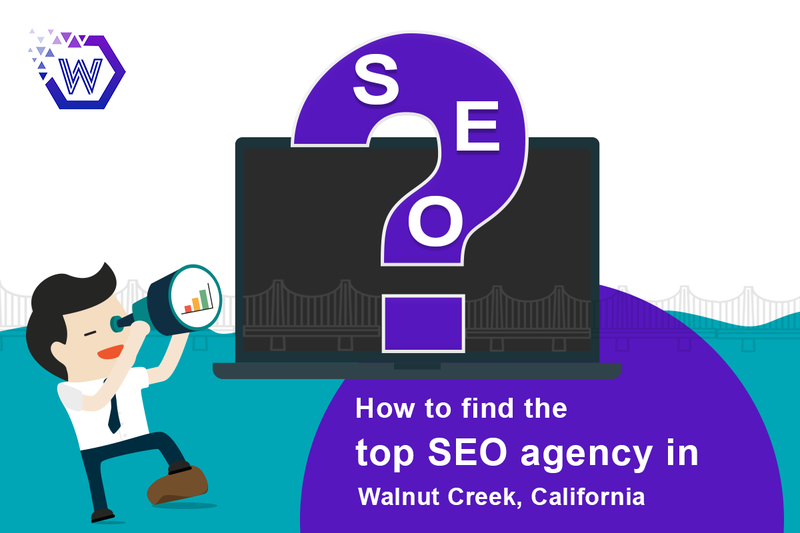 Focusing on more specific markets can also be helpful for instance while offering services only in California, the keyword can contain “content marketing company California” for best results. Study the questions asked by your clients. Are the customers more concerned about the services your law firm offers? Or so they question the prices of competitors? Tools like AnswerThePublic allow you to enter a service keyword and receive results of the questions people ask connected with it. Focus on questions asking about the value of the service, which shows interest in the service. Marketing strategies can then be catered to convince these users about using your services. Questions that ask about the process, such as the “how” questions, show an interest in starting but lack of knowledge about how to. Such users can also be made into leads. Comparisons with competitors, categories such as the services, or the best of services offered, and cases related to case studies or examples should be the next set of keywords. A list of competitors must be prepared along with a list of categories, and the two lists must then be paired. These can include search words like “alternatives to HuffingtonPost”, “(your firm) vs. (competitor)”, “Best (service offered)”, “best (service offered) in (a region)” such as “best SEO company California”, etc. Maintaining a balance between local and global marketing is also of crucial significance. Local marketing refers to attracting visitors within the geographical area. Keywords for such marketing would include examples like “SEO company California” or “Houston law firms”, and including such keywords in the article ensures you receive potential clients. Searches with “Near me” have also increased more than two times since 2017. Global marketing is not specific to any region but refers to broader topics or even niche areas for which information is required. Thus, by using the correct keyword strategy, a law firm can take advantage of it and gain the highest number of clients. SEO strategies are related to the content of a firm or website. Content that is published on the website must be customized to suit the SEO strategy. Content must not be too general or of less value to readers and search engines. Content that is not precise, giving the user what it needs will result in the failure of the law firm or website being visible on the front page. Thus, an SEO-first strategy that gives SEO priority in terms of marketing is the best way forward for a law firm. Content must be of the highest standard, but it should also be dependent or based on the goals of the SEO strategy. 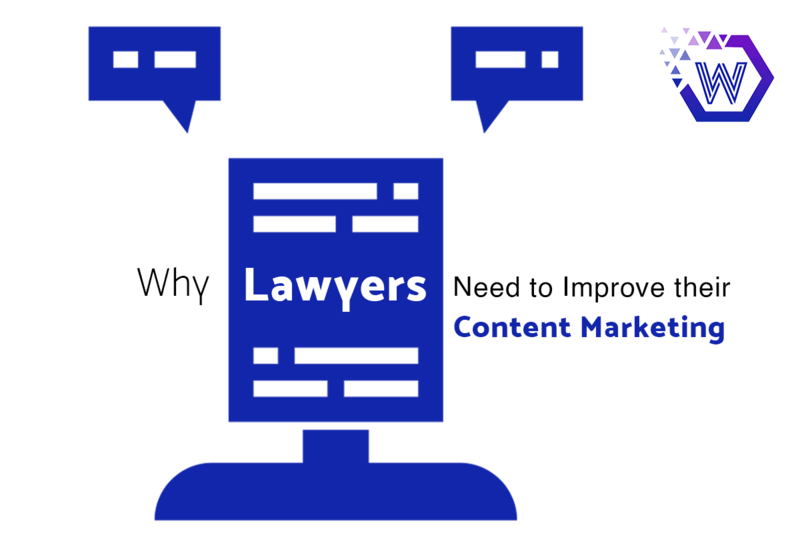 Writing good content that cannot gain visibility defeats the purpose of marketing for your law firm. The keywords listed down from the first step must all be covered in the content created. The key focus areas must also be what the user is interested in based on the search words, and what is expected from this user, which depends on your goal for converting into leads. The content must, therefore, be channeled in such a way that it gradually takes the users from their field of interest to the purpose you want to achieve from them. Thus, 4 major steps must be covered in the content. This should include the ‘what’, which refers to the informational content, the ‘why’ which can cover benefits, advantages, results of a service, the ‘how’ which describes the process, followed by ‘you’ which refers to your proposal to the user, and what your intent is. If the keywords indicate that the users are looking for more information and are unaware of the detailed processes, information should be the priority and selling or marketing must not be as prominent. On the other hand, for more well-informed users, who are aware of the information and the processes, it is more important to sell the services you offer rather than merely repeat the information they know. Thus, based on the keywords, content can be shaped to gain the most effective results. The length of content should usually be around 1000 words. Statistics show that the number of words and the ranking on search results has a direct bearing. 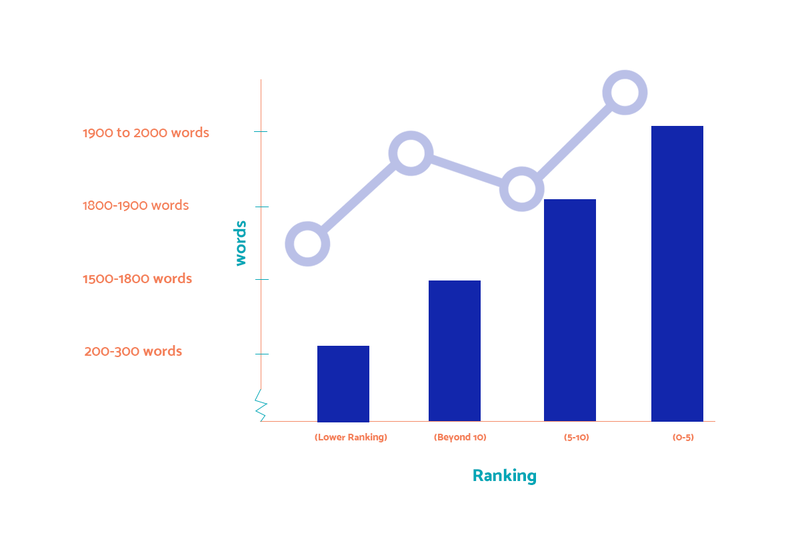 For instance, websites with content carrying 1900 to 2000 words appear at the top 5 spots of a search result, 1800-1900 take the next rankings and 1500-1800 take the positions beyond rank 10. It is also wise to write an addition of 200-300 words for the best results. Studies also show that long-form content receives more shares than short ones. Content that attracts links is also a beneficial way to gain visitors. Gaining links can be done actively or passively. It is done passively through reference sources, and actively through promotions to editors and larger publications. 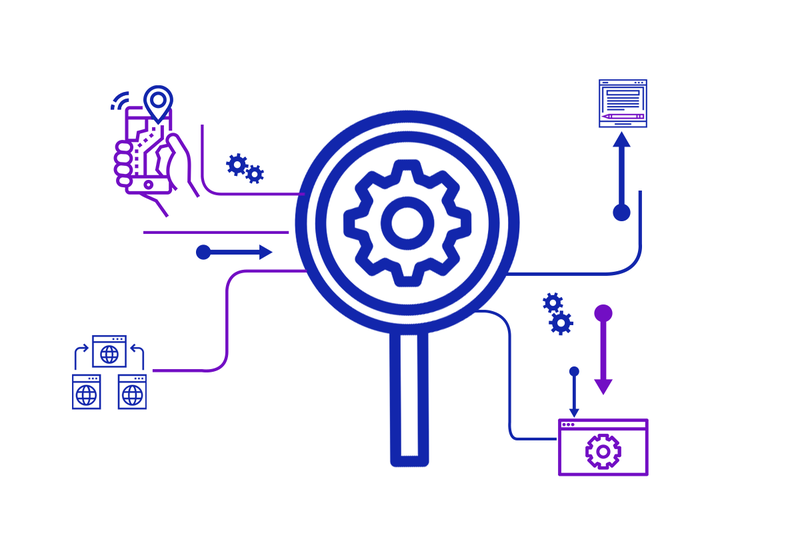 The passive method can be used to find keywords that are searched for by creators, and become a reference for other creators by using similar keywords. 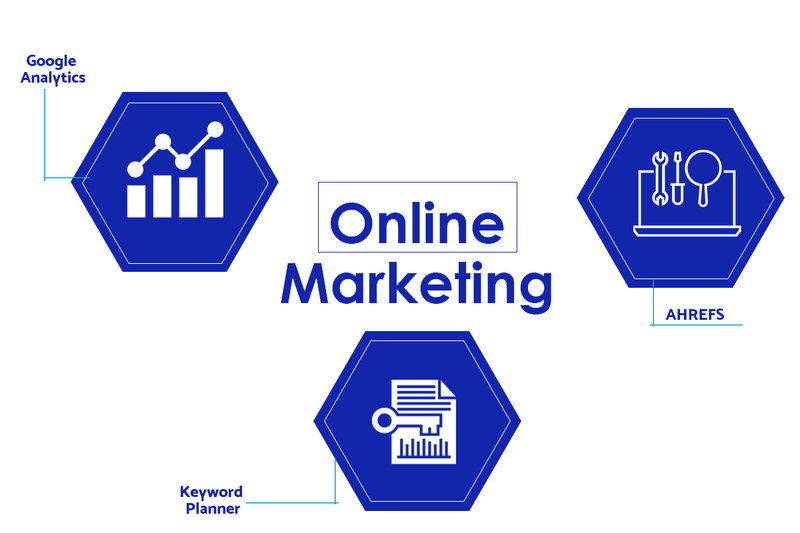 Broad keywords are involved in the passive approach which is based on statistics or information based keywords that go deep into the knowledge desired. Content can be written based on these keywords in a broader sense. These can include “what” or information based keywords such as “what is SEO”, or “statistics” and “fact” based keywords like “branding statistics”, as well as “how to” keywords that are method based, like “how to rebrand law firm” etc. however, it should be clear that passive linking uses keywords that are very broad and general creating more competition. Long-tail keywords that are highly specific can instead be used to stay at the top of the competition. These may include keywords like “law firm SEO statistics” that is in a niche, rather than a broader phrase like “law firm statistics”. While such niche words may not be as popular, because of their specificity it can generate more leads and greater visibility. The active method is more difficult than the passive one but is more successful if done well. This includes coming up with an idea for content that niche editors would refer to and link to, creating the content based on it and also pitching it to editors. The generation of the idea itself is of crucial significance, as it should be something that leading publications want to refer to and link to. Such content must have certain criteria, such as being highly visual, controversial, based on original research and one that poses a challenge to established notions. To refer to a varying perspective, such content can be a source and reference link for other writers to write about. Statistics, based on research by Buzzsumo, also show that entertaining and light-hearted content that makes a reader laugh can generate more shares. The emotion hared through the content has an impact on visibility and linking. 17% of most of the content shared is due to the emotion of laughter, while 25% is shared due to the feelings of awe and interest, which proves that content that is engaging and thought-provoking has the most impact. 15 and 14% of the content shared are due to feelings of amusement and joy respectively. Thus, content based on stimulating information, and content based on laughter and amusement are the ones to gain the most shares and most visibility. Studying the trends in publications from top publishers is a good way to come up with ideas. Infographics are another popular way of gaining visitors. Sites that maintain a record of recent successful content are a good reference point to begin brainstorming ideas. Encourage Guest Blogging – Guest blogging helps you generate more links from more popular publications to your website directly. This method is highly successful and can bring in a large number of visitors to your website and can also convert them into clients. 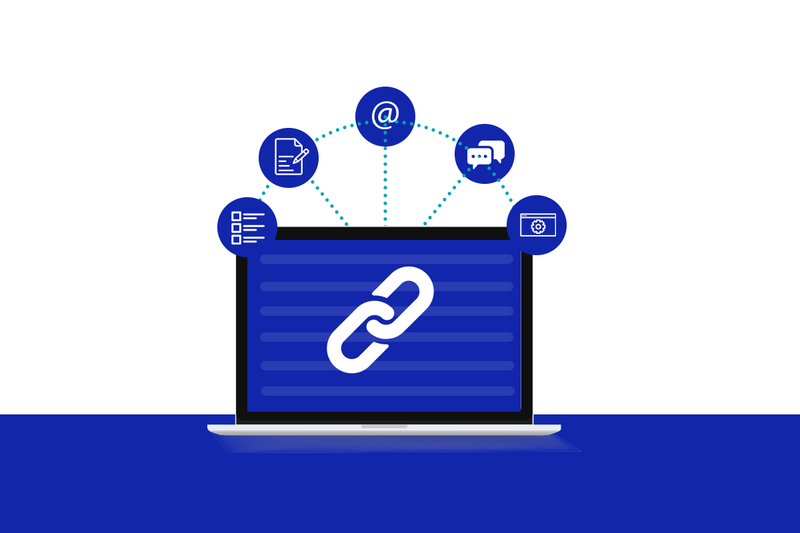 Links from Resource Pages – Find the resource pages that are in accordance with the content of your law firm, and seek permission from each to include your website as well for best results. Respond to Queries – By answering press queries on sites such as HARO is a good way to get published. The quality of content must also be high to be published in journals. 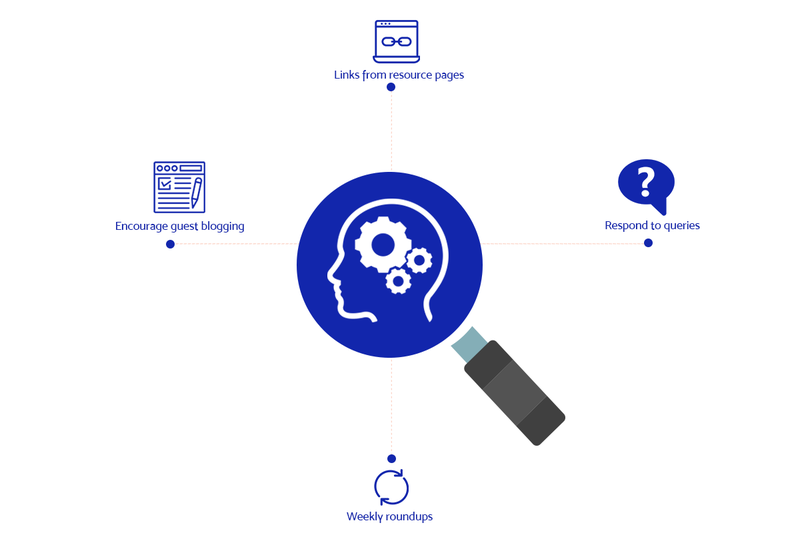 Weekly Roundups – Your website can be found on pages that perform weekly roundups if your content is successful and highly visible. Making use of SEO Tools is a good way to ensure you are following the correct steps in online marketing. Google Analytics, AHREFS, Keyword Planner, are different tools that can help law firms choose the most suitable SEO strategy based on their services and requirements. An assessment of the number of visitors on a daily basis and the sources where they come from can help you develop further strategies and improve your marketing game. Traffic and ranking reports can also ensure you manage the SEO marketing well. Combining passive linking with active content can help a law firm marketing yield the best results. Choosing the correct keywords in niche areas and a link building method can help generate your law firm into a successful publication and resource attracting clients and customers.